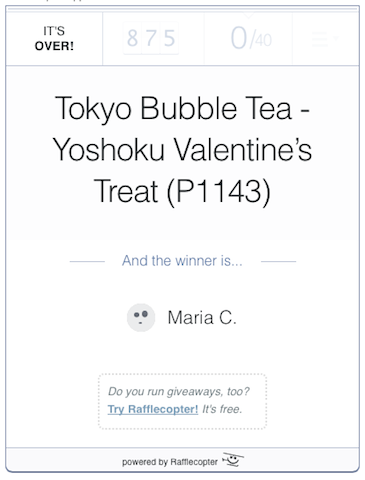 Home > Style > Tokyo Bubble Tea YVT Contest Winner! Thank you very much to all who joined, liked & shared our Facebook Page and followed #SeatsForTwo on different social media platforms. 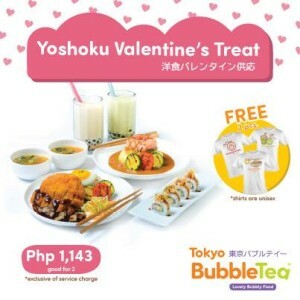 Our apologies we were only allowed to give away 1 set of YVT Date for Two prize, but it’s worth P1,143 plus free two shirts as well claimable form any Tokyo Bubble Tea Restaurant here in Metro Manila so you’ll be extending your Valentine’s date until March 8, 2015! 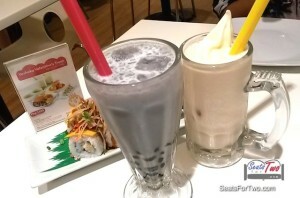 Moreover, you’ll get to enjoy the sumptuous food of Tokyo Bubble Tea, of course! We’d like to thank Tokyo Bubble Tea for sponsoring this contest. But Seats For Two was overwhelmed with your participation so my wife and I decided to give away a small token of Beauty Gift Pack to the best comment that was submitted. We did not announce this so the posts would be natural and not “pilit.” It was also not part of any criteria since rafflecopter is an electronic raffle app. So we found it fulfilling to reward this commenter even in a simple way out of our own pockets. Congratulations as well Yna Bronzo! Yna Bronzo wins a token beauty gift pack from Seats For Two! As for the Bubble Tea winner, we shall forward your information to the staff of Bubble Tea so they will be the one to coordinate with you and your “Date For Two” in one of their branches before March 9, 2015. We not be able to immediately address your concern since we will be in Palawan so I hope everything goes smoothly. Please support our trip to Palawan with AirAsia soon with Facebook likes, shares, and retweets. We’ll also be announcing a simple token giveaway on social media about that either tomorrow or Tuesday. Stay tuned! Be in the loop by subscribing via your email here. Follow us on Facebook, Twitter, and Instagram as well!